The impact and evolution of digital media has created a shift in the buyer’s sales journey. Digital channels now influence 92% of B2B buying decisions, while half of B2B buyers prefer to gather the information necessary to make these decisions on their own. If you’re only using phone and email to find, attract, and retain business, that means you’re missing an essential component to your strategy: social selling. First things first. Let’s define social selling (or, as we often call it personal marketing.). Sounds pretty similar to what you’re already doing (or should be) with email and phone, right? With over 40% of salespeople identifying prospecting as the most difficult part of sales, closing ranked next at 36%, and qualifying came in third at 22%, social selling and personal marketing can help increase your success in each of these areas. In other words, sellers across all levels and industries need to be more active where their prospects actually are – online, and more specifically, on social media. Whether you’re already on your way to being a social selling superstar or you’ve only dipped your toes in the water, the statistics and facts below will help you understand why you need to implement social selling and also provide some guidance as you shape or refine your social strategy. Bottom line: Sales reps sell more by using social media. Social selling is about building a connection with your audience before they buy your product or service. It’s about providing resources that let prospects and customers know they can come to you not only for information about your product, but also for information on industry trends and general education. Social selling can make the sales process easier. 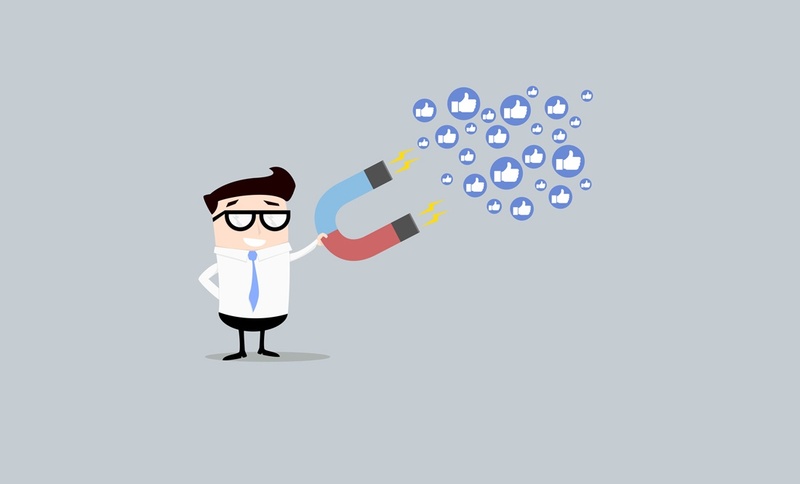 When you’re consistently sharing helpful content and engaging with your target audience, especially on the social platforms they use the most, you’re able to stay connected with potential buyers throughout the sales cycle and extend your reach to new audiences. While it may seem a bit creepy, social media has opened the door to learning about a person and their interests without necessarily speaking with them first. What are their hobbies? What topics do they find interesting? Are they active in any networking or volunteer groups? What college or university did they attend? Having access to this information gives you insight into the prospect or customer you want to connect with, and provides you with something in common to begin building the relationship. Time saver. Pipeline filler. Relationship builder. Enough said. It’s clear potential prospects and interested buyers are doing more research on social media than ever before. They’re using it to shape and guide their buying decisions, and they’re using the educational resources provided on those platforms to gain important information. Buyers want to do business with credible, knowledgeable, and authentic people and companies. It means having confidence in your own knowledge and authority on a particular subject or industry, and then imparting that wisdom to your connections and followers. Social selling is all about this. It helps you establish yourself as athought leader with an opinion and a point of view that can help them grow their business. Social media attracts customers at all points of the customer journey, from the early stages of research to the point when they are ready to purchase. Being able to align your sales process and approach with it via social selling is the key to improving your win rate and increasing sales. Your prospects and customers are inundated with messages every day and they’re doing more ignoring than responding. Instead of trying to break through the clutter of their inbox, you must be active and involved on the platforms your prospects turn to when they are “in the moment” and ready to be entertained, educated, or make a purchase. Social media is just that. Out of the 14 industries LinkedIn analyzed, all showed more than half of their revenue being influenced by their tool, Sales Navigator. While achieving success in certain industries like technology, marketing, and advertising may not come as big of a surprise, non-tech industries like financial services are seeing equally strong results. As social selling becomes more widely adopted, sales leaders now have more evidence that it could work for their businesses too, regardless of industry. Winning organizations are increasingly using social media throughout the sale process. Whether your goal is to prospect new business by leveraging and growing your professional network on LinkedIn or establishing thought leadership presence by building a following on Twitter, social selling is a powerful strategy to start using today. It’s critical to embrace and understand how social selling can help you gain influence, establish your credibility, sell ideas, attract customers, and ultimately increase revenue. If you’re feeling intimidated by digital or social media, don’t let it overwhelm you. Keep it simple by learning a few of the basics. Our Transitioning to Digital Ad Sales eBook can help get you started.